America now has a ridiculous fun house mirror reflection. Facts and real news events called 'fake news'. While outlandish conspiracy theories are perceived as absolute fact. Donald Trump's campaign exploited this odious alternate universe period in America to become President of the United States. Donald Trump elected President by people that knew he was lying, absurdly lying, atrociously lying. They didn't care. The truth was secondary to their animosity toward Obama, Democrats, Hillary and 'kooky liberals'. Donald Trump didn't just happen out of the blue. He is a culmination of thirty years of manufactured outrage and indignant anger. Provoked by right-wing rhetorical programming. A generation conditioned by reactionary right-wing agitation and delirium. The constant, incessant, spittle spewing rhetoric of AM radio broadcasting right-wing resentful disinformation, hourly, daily, for several decades. In the 1980s when Ronald Reagan allowed the fairness doctrine to lapse, right-wing think tanks and political organizations seized airtime on AM radio stations, almost all of it. They then began the steady drumbeat of right-wing twisted truth propaganda. In the early days of AM talk radio Democrats and and liberals were referred to as misguided bleeding hearts. In the mid-90s things escalated, during the Bill Clinton Presidency, Democrats and liberals were smeared as a cancer on the country by right-wing propagandists. Liberals all the sudden became communist agents out to destroy the conservative way of life, end Christianity and turn the country in a Stalin-esque hellhole complete with concentration camps for conservatives and Christians. The right wing propaganda industry escalated their frenzied rhetoric. 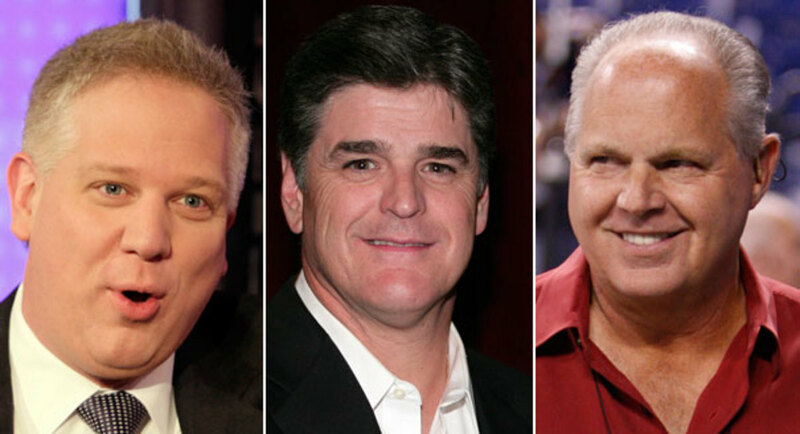 Right-wing radio hosts spit venom into their microphones, hourly, day after day, for years. 2017 and the Presidency of Donald Trump is the climax of the incessant indoctrination. The mental conditioning process wasn't difficult or complex. The requirements; a willing audience, people needing to be told who to blame. People all too willing to have complex, multi-layered issues reduced to bumper-sticker slogans by authoritarian drum major cult leaders. People that were conveniently mobilized to show up at a moment's notice, puffed up and shouting angry indignation. The Tea-Party birthed Donald Trump in the dark corner of American ignorance. What is the elemental motivation of the right-wing fantasy spin machine? "Because there was a lot of money in it for various hucksters and moguls and authors and politicians, the conservative movement spent decades building up an entire sector of the economy dedicated to scaring and lying to older white men. For millions of members of that demographic, this parallel media dedicated to lying to them has totally supplanted the “mainstream” media. Now they, and we, are at the mercy of the results of that project. The inmates are running the asylum, if there is a kind of asylum that takes in many mostly sane people and then gradually, over many years, drives one subset of its inmates insane, and also this asylum has the largest military in the world." Remember, middle-aged to older white males controlled the household purse strings in the 1980s when right-wing fear radio began. Right-wing propaganda has always compared household finances to nation budget management, when in actuality they are two wholly different worlds, not even in the same galaxy. "For years, the conservative movement peddled one set of talking points to the rabble, while its elites consumed a more grounded and reality-based media. The rubes listened to talk radio, read right-wing blogs, watched Fox News. They were fed apocalyptic paranoia about threats to their liberty, racial hysteria about the generalized menace posed by various groups of brown people, the hysterical lies about the criminal misdeeds of various Democratic politicians. The people in charge, meanwhile, read The Wall Street Journal and The Weekly Standard, and they tended to have a better grasp of political reality, as when those sources deceived their readers, it was mostly unintentionally, with comforting fantasies about the efficacy of conservative policies. From the Reagan era through the Bush administration, the system seemed to be performing as designed." ". . .they insured the system was performing as designed"
That constructed design was the upward flow of the nation's wealth and income to the wealthy. It is cemented into place by the manufactured fear and dread instilled into the zombie masses of have nothings, conditioned to vote against their own economic best interests. Electoral politics is more marketing than politics, Trump's election proves that. Reagan touched off the conservative revolution in 1980 with brilliant marketing techniques. The Democrats didn't learn that lesson until 2008 and the election of President Obama, they then quickly forgot about marketing and returned to their tone deaf intellectualism. There's nothing wrong with intellectual appeals, except in times when people have insecure financial circumstances, they won't respond to intellectualism. Bernie Sanders understood that, Sanders spoke directly to the people's concerns, and to be perfectly honest, so did Donald Trump. The difference being Bernie Sanders was sincere, Trump wasn't. This returns us to one of the original points. 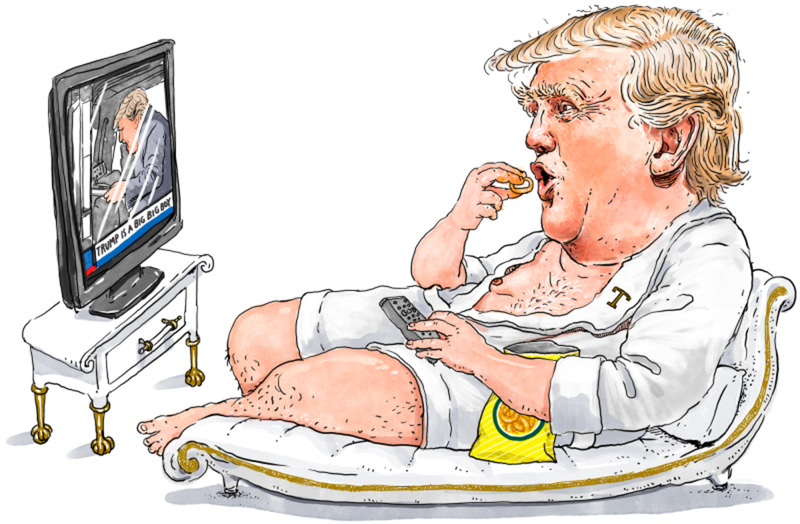 How did an insincere clod like Donald Trump, someone most people viewed as an inveterate liar, a gaudy, profane, alleged billionaire, that has never been known as a champion of the common man, never did anything in his life that didn't directly benefit himself, get elected as the populist choice? "The answer came from a realization that we tend to understand the nation metaphorically in family terms: We have founding fathers. We send our sons and daughters to war. We have homeland security. The conservative and progressive worldviews dividing our country can most readily be understood in terms of moral worldviews that are encapsulated in two very different common forms of family life: The Nurturant Parent family (progressive) and the Strict Father family (conservative)." In insecure times, especially financial insecurity, which working class Americans are experiencing, they tend to look to authoritarian figures for comfort. Someone that promises to fix everything. Their base emotion is fear, fear hinders decision-making thought. Donald Trump played that emotion like a piano. He was the authoritarian father figure, going to make everything right again, Make America Great Again. His voters perceived that slogan as making themselves personally safe again. Donald Trump manufactured a need and promised he, only he, would satisfy it. The right-wing consumer mind bought it like kids crave Happy Meals, promises of an exhilarating, transcendent experience, but delivers an empty nutritional nightmare. As an active participant of social media I all too well understand how exhausting challenging right-wing lies can be. But do it we must. Being a veteran of the internet propaganda wars I've watched right-wing untruths go from subtle twists of facts and truths a decade ago, to blatant outright bizarre conspiracy fueled fantasy in the last few years. Right-wingers have been led to believe they can make their lying fantasies real by sheer force of will, keep repeating the same untruth over and over again and it will become material truth. The next paragraph is me risking 'othering' right wingers, I'll use 'they' a lot. It's a charge I'll risk to make a point. It's how they were programmed. Authoritative repetition. Many simply mimic the verbiage and tone of their favorite right-wing commentator or blogger, like they don't have a mind of their own, they don't think things through. They've been told what to think and they're loyal to their conditioning. Challenge them at every turn. This means we ourselves have to read, a lot, be factually founded, show integrity. We have to be based in truth, we have to be unafraid of them. Unafraid of their venom, anger and fear. Many exhibit a puffed up, aggressive, off-putting tone to intimidate, don't be intimidated. It's a learned behavior from their propaganda conditioning. The only way to defeat fascist lies is to unflinching stare them right in the eye and tell the truth. With Love we'll endure this period of dystopic reality. Jim Steyer, CEO of Common Sense Media. All deflective, distracting, and derailing off-topic comments will not be approved and deleted. Butthurt Trumpers will not turn this comment thread into a cesspool of petulant lies. I read your comments before deleting them. Your comments are low quality, off-topic, and smell like trolling. I don't care that what I wrote made you angry. Your indignant upset only serves to bring down the quality of the comment thread of this Hub. 1. Adopt a more respectful tone. 2. Make your comment relevant to what's written in the Hub. 3. Be truthful in your comment. Otherwise, your comments will be deleted. Why are you afraid to post my comments? The only way to resist the corruption in both parties is to consistently shine our light on it. Duane, you have pretty much hit the nail on the head, as they say. I for one feel that one party should not control both the House, the Senate, and the White House. However, the republican party talks about fake news but they are the major supplier of it. I will be 70 years old in a few months and I have never seen such corruption by one party. It is obvious that Trump wants to be a dictator, not a president. Your knee-jerk response, which exhibited no evidence that you read the article, is typical. It demonstrates what I wrote about. Wait, I'm 100% certain that Democrats are the ones constantly trying to beat the truth. Not that Republicans are great but the entire true identity and agenda of the modern Democrat is the biggest like ever told. The truth is people do not want the truth. For example if you read the Bible and it teaches you to recognize good and evil how could so many who claim to be subject matter experts on it vote for Trump? I guess you would have to be blind, perhaps a hypocrit or just not Godly at all. If you lie then you our a liar. It sure doesnt matter who you our. If you have no heart and only greed you should find that pin hole and fit into heavean. Just because your evil does not mean that evil will somehow bless you. It always destroys its self and others. All this challenging gets exhausting. But you are right about the different mind-sets of Democrats and Republicans. The tactics that work for Republicans won't work for Democrats. Republicans like authoritarians and bombast. Democrats wouldn't vote for a candidate who acted like the typical Republican. It appears that it is a lot harder to lead people using reason than by appealing to fear and anger. Your comment(s) on this Hub were incoherent. I seriously debated with my self on whether I would approve them. I approved them as a demonstration of right-wing Trump voters' lack of rationale and inability to communicate a responsible, reasonable argument. Again, thank you for reading. Have a nice life. Is that all you have to say after I put so much effort into my comments? Then you make it personal as well, how condescending. Your articles are off my list as they appear to be fluff. bye, don't bother replying, I won't see it. I like what you wrote here, that Sanders spoke directly to the people's concerns, and to be perfectly honest, so did Donald Trump. The difference being Bernie Sanders was sincere, Trump wasn't. I rarely read any political articles, but I can add one thing to your post... in South Africa the ANC inmates of the political asylum are running our country, and this 'sickness' is a global illness. I thank you for reading my article. I know you read it because you reposted it here, all of it. Your visceral response tells me it hit home. Your world view was challenged Brad, your response on this article shows that. I hope it stays with you. As an active participant of social media I all too well understand how exhausting challenging right-wing lies can be. But do it we must. Being a veteran of the internet propaganda wars I've watched right-wing untruths go from subtle twists of facts and truths a decade ago, to blatant outright bizarre conspiracy fueled fantasy in the last few years. So far you are the one that has been dispensing large unsubstantiated propaganda. BTW, Trump has no history prior to his presidency. So the Left Wing and Right Wing since the 70s brought us to where we were in 2016. Non of it can be imputed to Trump. He can into a set stage. He wasn't part of the system! Right-wingers have been led to believe they can make their lying fantasies real by sheer force of will, keep repeating the same untruth over and over again and it will become material truth. Isn't that why Trump got elected, because both wings were doing the same thing, but trying to fly in different directions. Both wings do it, but isn't that exactly what the left has been doing since Obama got into office. And isn't that what they have been doing during the entire election, and they didn't stop. They are doing it today. What exactly is the left doing for the country and the people today. Don't say getting rid of Trump because that doesn't serve any use. What is their platform for 2018, and who do they even have to run for the presidency in 2020. And what would the presidential platform be, We hate Trump. That is not a platform. What specifically is the problems that a democrat presidential candidate would see and how would they fix it? What facts did you use in this article, where is the integrity, What is the integrity. What Truth? You didn't give any foundation, just opinions, and rant. we have to be unafraid of them. Unafraid of their venom, anger and fear. What venom, what anger? The left is filled with hate, Maxine Waters, Nancy Pelosi, Chuck Schumer, all the CNN, MSNBC anchors etc. Many exhibit a puffed up, aggressive, off-putting tone to intimidate, don't be intimidated. Name Calling, Fascist, What lies, What is the Truth? Probably not without some pro help? The basic ideology of both parties are totally opposite. And that is why we had congressional gridlock. Neither party has the solutions but both parties have caused the problems. 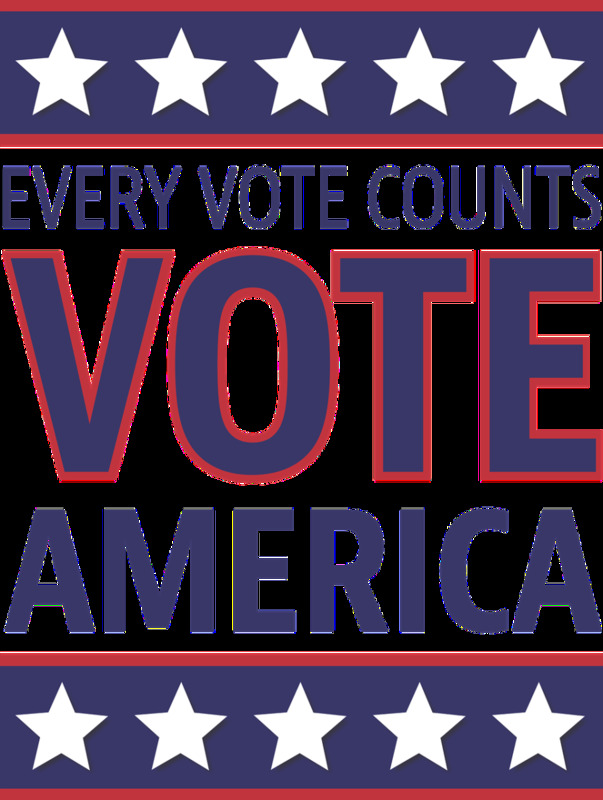 Electoral politics is more marketing than politics, Trump's election proves that. 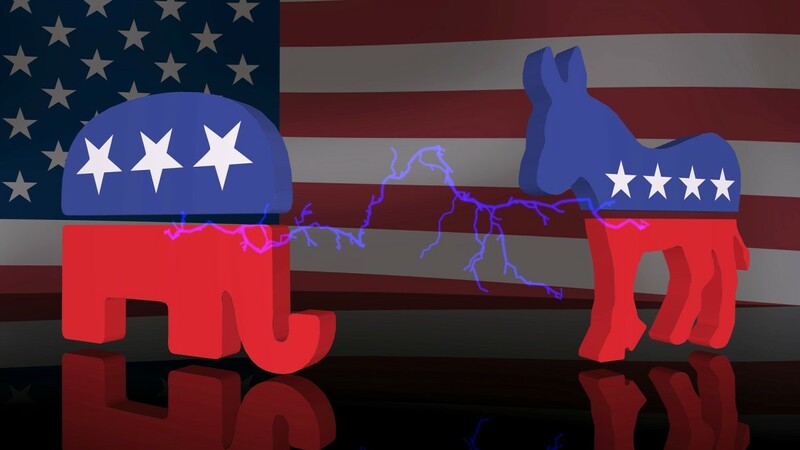 What are Electoral Politics? What is being Marketed? And What politics are you referring to. Trump's election prove that people wanted a change from two parties that caused the decline of the US since the 1970s. They were tired of hearing election promises that never got filled. Reagan touched off the conservative revolution in 1980 with brilliant marketing techniques. Jimmy Carter ruined the economy. When Reagan became president the Prime Rate was over 20%. Read about it. The Democrats didn't learn that lesson until 2008 and the election of President Obama, they then quickly forgot about marketing and returned to their tone deaf intellectualism. What lesson? And What did electing Obama as president mean? What is Tone Deaf Intellectualism? There's nothing wrong with intellectual appeals, except in times when people have insecure financial circumstances, they won't respond to intellectualism. Bernie Sanders understood that, Sanders spoke directly to the people's concerns, and to be perfectly honest, so did Donald Trump. The difference being Bernie Sanders was sincere, Trump wasn't. Bernie Sanders let his supporters down by refusing to go for a contested primary against Hillary Clinton. Is that his truth, when the going gets tough, he bails? Bernie was pushing socialism, Trump wasn't. And what was not sincere about Trump? Even with all the resistance from the left he still accomplished and it trying to accomplish more of his campaign list. Obamacare is the fault of the left, and allowing potential terrorists from coming into the country was also their fault. What else do you have? "Insincere Clod" can you explain by example? You mean democrats! What did he lie about? What do you know about it. Do you have any examples? get elected as the populist choice? Are you really buying this? He didn't manufacture anything, from Carter to Obama the country declined in economics, freedoms, loss of jobs, continued wars, and failures of the candidates to actually do what they promised. And it was this continual failure to meet the promises from both parties that was already in place. Hillary didn't address it, Sanders quit, and although throughout the campaign and up to today, those on the left kept saying Trump was not serious and he was going to quit, during the primary, after the primary, before the inauguration, and now they want to impeach him because he is still there for the people. President Trump has already delivered more in 130 days than was delivered in the last 28 years. This article has no truth. America now has a ridiculous fun house mirror reflection. Facts and real news events called 'fake news'. While outlandish conspiracy theories are perceived as absolute fact. You must be talking about CNN, MSNBC, Washington Post, New York Times and others. Donald Trump's campaign cynically exploited this creepy alternate universe time in America to become President of the United States. What alternate universe did he use? Twitter!
. The truth was secondary to their animosity toward Obama, Democrats, Hillary and 'kooky liberals'. What Truth, and what animosity? Donald Trump didn't just happen out of the blue. He is a culmination of thirty years of manufactured outrage and indignant anger. Provoked by right-wing rhetorical programming. A generation conditioned by reactionary right-wing hysteria. The constant, incessant drumbeat of AM radio pumping out right-wing disinformation, hourly, daily, for several decades. 30 years? We just had 8 years of Obama. While there are more right side Talk Radio, all but Fox was on the side of the left, far left, and off the charts left. 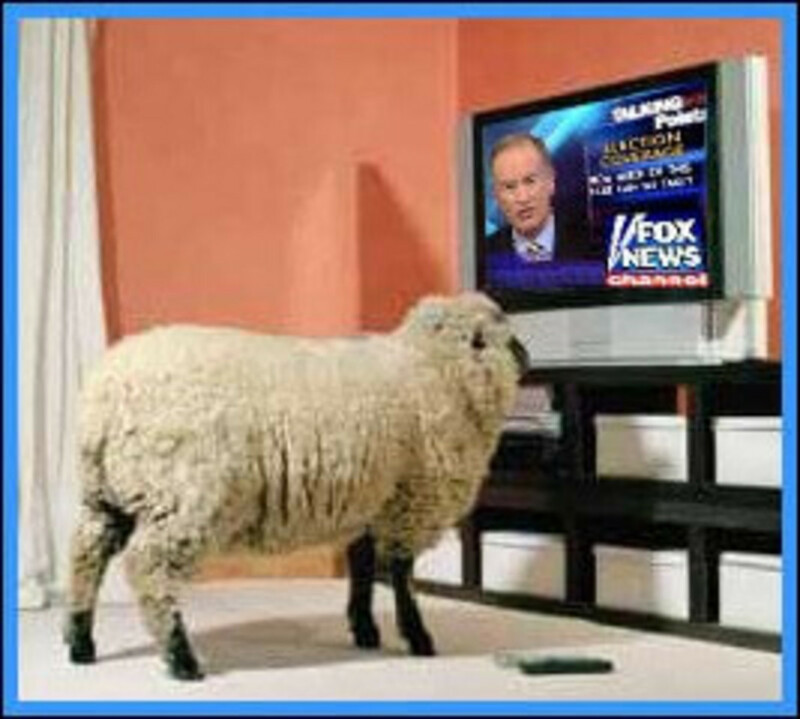 What propaganda, and what were they doing on Cable News? In the early days of AM talk radio they referred to Democrats and liberals as misguided bleeding hearts. In the mid-90s, during the Bill Clinton Presidency, Democrats and liberals became a cancer on the country, according to right-wing propagandists. Liberals were communist agents out to destroy the conservative way of life, end Christianity and turn the country in a Stalin-esque hellhole complete with concentration camps for conservatives and Christians. Right-wing radio hosts blared that into their microphones, hourly, day after day, for years. 2017 and the Presidency of Donald Trump is the climax of the continuous indoctrination. The mental conditioning process wasn't difficult or complex. There was a willing audience, people that simply needed to be told who to blame. People that were all too willing to have complex, multi-layered issues reduced to bumper-sticker slogans by authoritarian drum major cult leaders. People that that were conveniently mobilized to show up at a moment's notice, puffed up and shouting angry indignation. Trump had resistance and still has resistance with republicans, and he is not linked to the Tea Party at all. He was a democrat before running for the presidency. It doesn't help business in NYC when you are not a Democrat. "Because there was a lot of money in it for various hucksters and moguls and authors and politicians, the conservative movement spent decades building up an entire sector of the economy dedicated to scaring and lying to older white men. For millions of members of that demographic, this parallel media dedicated to lying to them has totally supplanted the “mainstream” media. What parallel media, What lies? Now they, and we, are at the mercy of the results of that project. The inmates are running the asylum, if there is a kind of asylum that takes in many mostly sane people and then gradually, over many years, drives one subset of its inmates insane, and also this asylum has the largest military in the world." Carter, Bush, Clinton, Bush, Obama. They all sucked, They all brought down the country. The wealthy did and still does make their unequal distribution thanks to the Income Tax system brought to us in 1913 by the 16th am. And it was codified into the Income Tax Code, and the loopholes, deductions, deferments, exceptions and tax credits. This was worked on every year since then by both parties, and with the help of the SCOTUS in not holding that this implementation was unconstitutional. Neither party wanted to get rid of the Internal Revenue Code. It contains all these Tax Loopholes that cannot be used by the working class. What few deductions they were able to use was virtually wiped out by the Tax Reform Act of 1986. If you want to get a better distribution of wealth then replace the Income Tax with a National Sales Tax. Similar to those already used by the States.